Lakes and Parks, a good infrastructure as well as plenty of leisure facilities – the district of Reinickendorf in the north-west of Berlin offers ideal conditions for you to feel right at home. With real estate in Berlin-Reinickendorf you can enjoy all the flair of the capital and still be close to nature and the waterside. The green district of Reinickendorf affords an excellent quality of life to singles, couples, familes and the elderly alike. If you settle down here, you will not only enjoy the lakes and parks, but also benefit from the schools and clinics in the vicinity, as well as good links to local public transport. Enjoy Berlin-Reinickendorf district and all its advantages from the comfort of your own home. For those who like to spend time outdoors or near the water, Berlin-Reinickendorf is the place for you. If you like swimming or recreational sports there are plenty of lakes here to make the heart beat faster. Take the Tegeler See: it´s a popular destination all year round, not just in Reinickendorf but beyond. In summer the outdoor pool (“Freibad”) Tegelsee is a particular attraction for swimmers. The sandy beach, bathing island, jetties and children´s playground provide leisure activities for all the family. The same goes for the outdoor pool (“Freibad”) Lübars on Ziegeleisee. The artificial lake is renowned for its water quality. The path to the lake is also very popular amongst walkers. Reinickendorfer can also relax in nature and on the water at the Schäferseepark. The garden monument which was created in the 1920s is located in the south of the district. It surrounds the lake of the same name. Visitors can enjoy walks, hire boats, play mini golf or just relax at the Café am See. The area around the Tegeler Fließ is also inviting to hikers and walkers alike. A section of the stream runs from Lübars to Tegeler See. Visitors can explore the countryside, wildlife and plants local to the area via footpaths and a nature trail. You can reach these lakes and other green oases in a relatively short time. 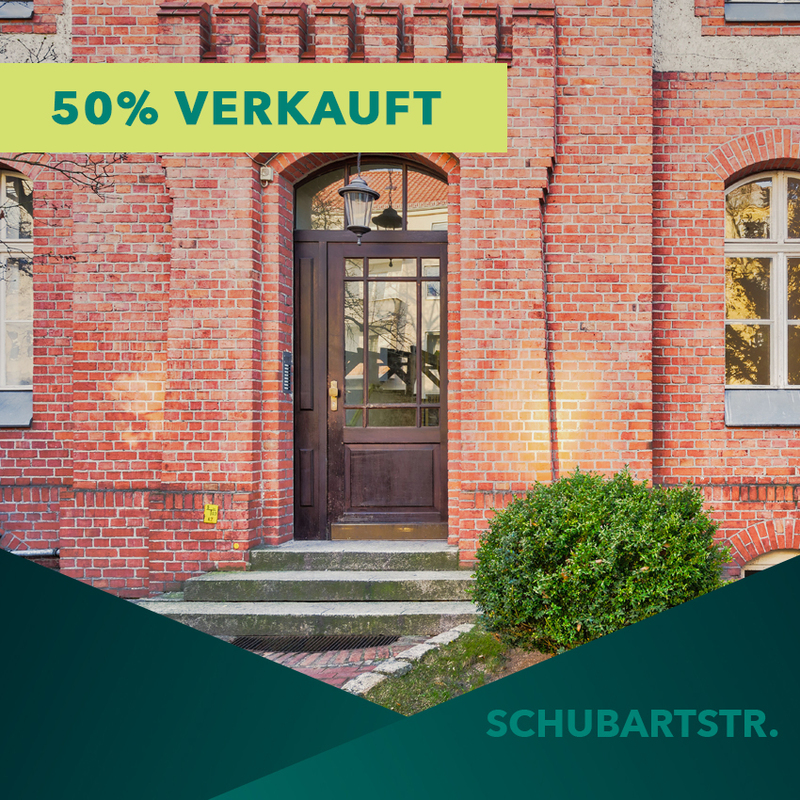 If you're interested in property in Berlin-Reinickendorf and have children you want to make sure that they are able to attend good schools. 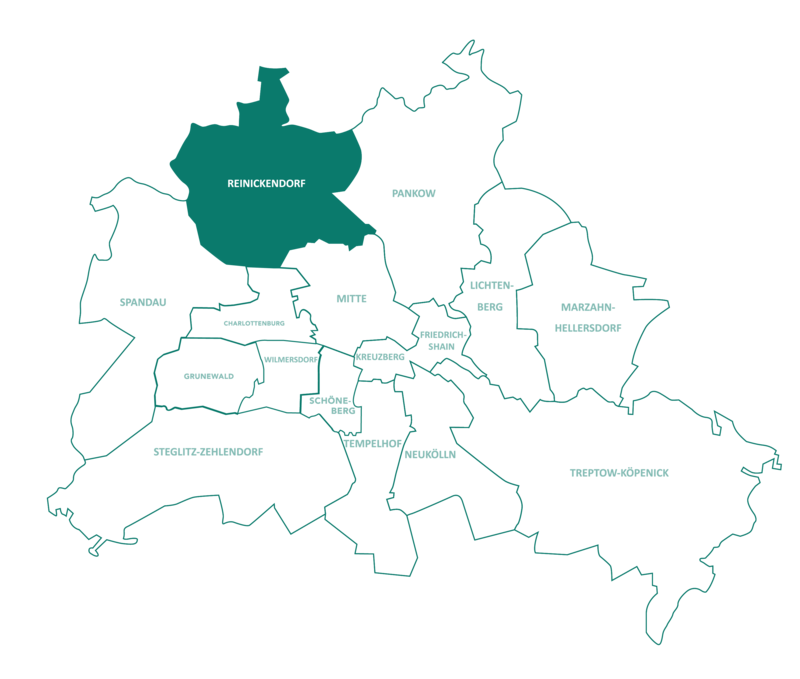 Reinickendorf has a total of 60 schools. Of those, there are more than 30 Primary Schools, eight Grammar Schools and three Secondary Schools. Added to which the district has three private Grammar Schools. The Protestant Frohnau School in the district of the same name is just one of these. It is one of the schools at which pupils achieved the best grades throughout Berlin. In 2017 pupils at the Protestant School achieved an average grade of 1,66 – the secondbest average in Berlin. The overall average for Berlin was 2,4. In musical school, such as the school of music Reinickendorf or art schools, such as the Atrium communal youth art school both childen and adolescents can be creative in their spare time and learn how to play a musical instrument. Local Sports Clubs/Associations have a role to play in shaping the leisure activities of families. Club life is thriving in Reinickendorf. Sports enthusiasts can practice up to 66 different sporting activities in approximately 200 sports clubs, community recreation groups and company sports clubs. The residents of Reinickendorf benefit from excellent healthcare facilities. Three clinics are located within the district. You can go to the Vivantes Humboldt-Klinikum on Nordgraben. Alternatively, the Dominikus hospital close to the Wasserturm Hermsdorf is also a port of call for patients from Reinickendorf. The Vitanas Klinik für Geriatrie in the Märkische Viertel caters for the health of the elderly. The Vitanas Senioren Centrum, a care home, is located on Schäfersee. Those moving into an apartment or house in Berlin-Reinickendorf will find an array of shopping facilities in the vicinity. Supermarkets for your daily shopping needs can be found on Gotthardstraße or on Ollenhauerstraße. If you are looking for clothes, shoes or cosmetics, you will find everything your heart desires in Reinickendorf. There are five shopping centres alone that invite Reinickendorf locals as well as visitors to browse. “Der Clou” shopping centre on Kurt-Schumacher-Platz (reachable with the U6) for example offers shopping pleasure over two floors. From fashion to jewelry and services to delicatessen, shoppers can find many famous brands. In the Hallen am Borsigturm – the former factory hall of the Borsigwerke that were transformed into a shopping centre, shopping enthusiasts can find more than 100 shops, restaurants, a cinema as well as a bowling alley. If you'd like to explore Berlin-Reinickendorf and its surroundings starting out from your apartment, you can use the good public transport links the district has to offer. With its underground lines (U-Bahn), tram lines (S-Bahn) and bus connections you can travel from A to B not just within the district. The U6 takes passengers to Berlin-Mitte and Kreuzberg within a short period of time, the U8 also to Mitte and further, to Neuköln. The S-Bahn lines S1, S25 and S85 make the remainder of the city equally accessible. And if you'd like to travel farther afield, just take one of the other modes of transport. Tegel Airport is also located in Reinickendorf. Art, culture and bars with a relaxed atmosphere as well as proximity to nature – this is what defines life in Reinickendorf. Those looking to explore cultural life in Reinickendorf after buying a property can look forward to an interesting array of cultural events. This green district in the northwest of Berlin is home to a few places of particular interest. One of those is the Schloss Tegel. It was originally built in 1558 and has been rebuilt and extended many times since. It has belonged to the Humboldt family since 1766 and is often referred to as the Humboldt Schloss. Wilhelm von Humboldt, the founder of the Berlin Humboldt Museum, and his brother Alexander von Humboldt, a natural scientist, grew up here. Visitors can view the Schloss, the Humboldt Museum which is housed within the grounds, as well as the Schlosspark. A further place of interest in Reinickendorf is the Russian-Orthodox cemetery. It was first designated at the End of the 19th Century. Russian-Orthodox believers were supposed to be interred here in accordance with orthodox beliefs. In order for Russian Emigrants who were a long way from home to be able to be buried in Russian soil, several thousand tons of earth were transported from the former Tsarist empire to Berlin. There is a chapel in the middle of the cemetery that is modelled on the Basilikus Cathedral in Moscow. The Borsig Tower in the Tegel district also counts as one of the sights that speaks of the history of the district. At a height of 65 metres it literally towers over and beyond the district. It was built in 1922 and at the time was the first high-rise building in Berlin. Designed by architect Eugen Schmohl, the tower was part of the former factory compound of the Borsigwerke, one of Europe´s largest manufacturers of locomotives. Today, the tower houses offices. Should you decide to purchase a property in Berlin-Reinickendorf, you can look forward to cultural events close to your home. The Fontane Haus in the Märkische Viertel regularly hosts concerts and musicals. The house also features a library and a “Graphothek”, a type of art library. The art collection housed there encompasses approximately 6.000 works of art and belongs to the district. Businesses and private individuals can loan individual works of art for a fee and display them in their homes or in their offices. The Bagatelle cultural centre in Frohnau regularly hosts concerts as well as lectures. A childrens` theatre as well as a high-end flea market also feature. If you are interested in the history of the district you should visit the Museum Reinickendorf. An old primary school is home to the local museum of the district. Aside from the main exhibition there are also special exhibitions from time to time. Night owls also get their money´s worth in Reinickendorf. If going to a bar on your way home to your property in Berlin-Reinickendorf is your thing, then you´ll find plenty of cosy pubs and bars along Kurt-Schumacher-Platz, but also in areas around Osloer Straße, Nauener Platz and Residenzstraße. 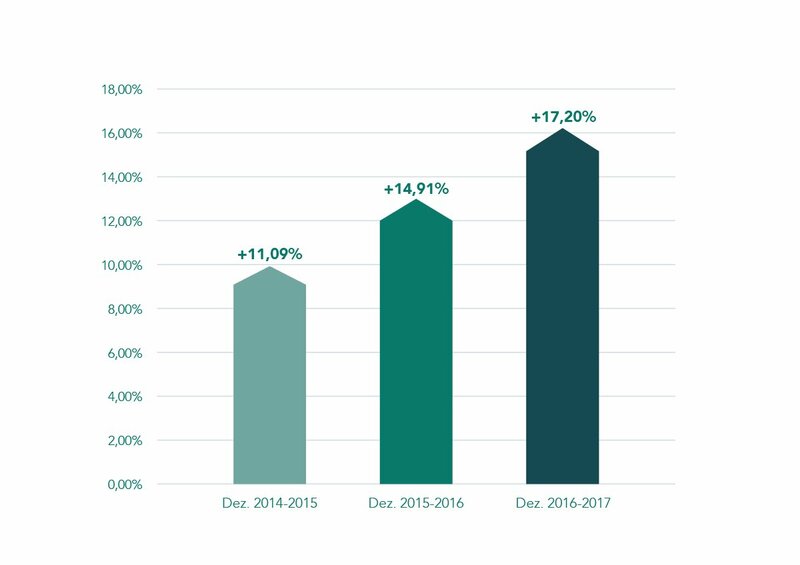 As a consequence of growing demand for living space in centralised areas of Berlin, square meter prices have increased in Reinickendorf as well. The opening of BER airport and the subsequent cease of Tegel airport services can be expected to compound on this effect. That is the conclusion of CBRE and Berlin Hyp's current report on the Berlin housing market.